Root canal therapy is necessary when the pulp – the delicate interior of a tooth – becomes infected or inflamed. The infection or inflammation can have a variety of causes: tooth decay, repeated treatment to the tooth, broken or defective crowns, or a chip or crack in the tooth. 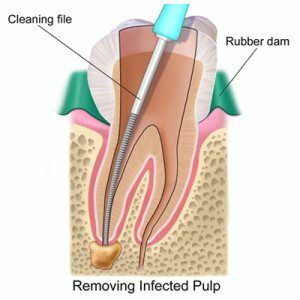 During a root canal, the infected or inflamed pulp is removed and the inside of the tooth is carefully cleaned and sterilized, then filled and sealed with a rubber-like material. Following the treatment, the tooth is restored with a crown or filling for protection. After restoration, the tooth continues to function like any other tooth. Missing teeth can negatively impact your ability to speak, eat, and practice quality oral hygiene. 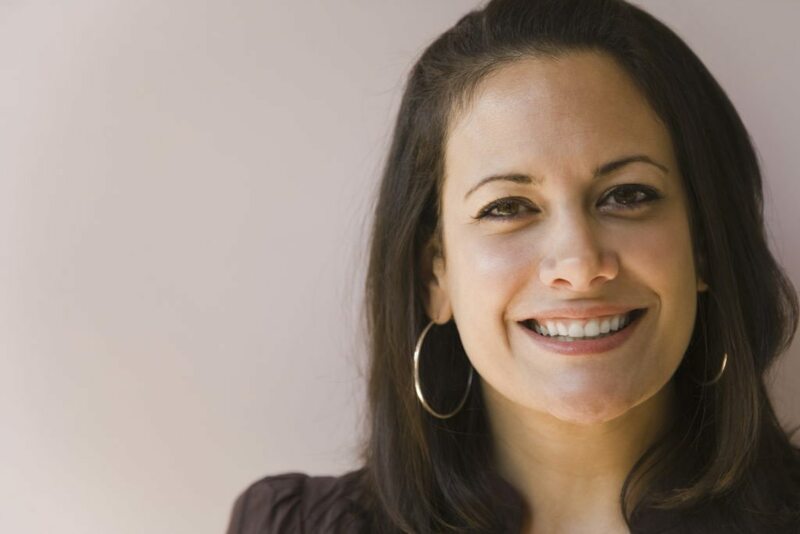 Dental bridges, like implants, can be used to restore your smile by replacing missing teeth. Our team at Shepherd Mall Family Dentistry offer dental bridges in OKC made from a variety of material to ensure a perfect fit for your individual needs. Dental bridges can be made using porcelain, gold, or a combination of these materials. It’s important that a bridge is precisely constructed to fit your natural smile and bite to ensure improvement to the form and function of your smile. Fitting a dental bridge usually takes two appointments to complete. To place your bridge, our team will first prepare the teeth on either side of the space. Next, an impression of your teeth will be take and sent off to the lab. Between appointments, a temporary bridge will be provided to help protect your smile until the permanent bridge arrives. Good daily dental habits of brushing and flossing will keep the bridge and surrounding teeth clean. Good dental care of these teeth is critically important, as the bridge relies on the neighboring teeth for support. At Shepherd Mall Family Dentistry, we strive to provide dental work that blends seamlessly into your natural smile. We want every patient to enjoy a smile that looks and feels healthy for a lifetime. Dental crowns are tooth-shaped “caps” that restore the strength, shape, and appearance of a tooth. They are constructed from materials such as high-grade porcelain, ceramic, or porcelain bonded to gold. Fitting a crown requires two visits to your Oklahoma family dentist at Shepherd Mall Dentistry. During your first appointment, our team will remove any decay from the tooth, shape the tooth as needed, and then fit the tooth with a temporary crown. During the second visit, the temporary crown will be removed and replaced with a permanent crown. Once adjusted, any the permanent crown will be cemented into place, providing you with a new, beautiful-looking tooth.